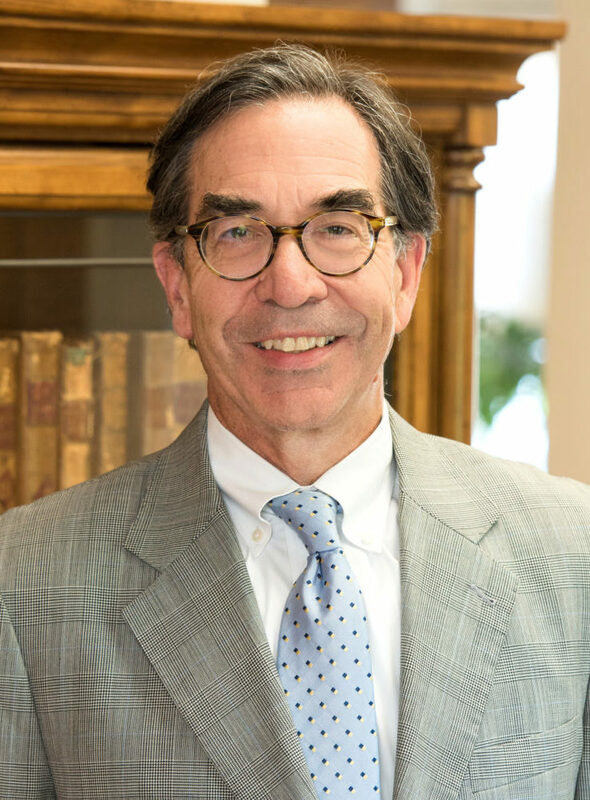 Michael joined Libby O’Brien Kingsley and Champion, LLC as a trial lawyer with extensive experience at the federal, state and county level, including over 100 jury trials and 60 appellate cases before the Maine Supreme Judicial Court and the United States Court of Appeals for the First Circuit. He is a fellow in the American Board of Trial Advocates, a group certifying members with significant trial experience and high ethical standards. Michael practiced in the Maine Attorney General’s Office, Criminal Division, and in the York County, Maine District Attorney’s Office prior to entering private practice. Michael’s practice has included civil rights defense of police officers and municipal officials, and state, county and local entities and school administrative districts. His areas of expertise have included the successful defense of employment practices, discrimination, harassment and retaliation claims, and the defense of municipal ordinances, road reconstruction litigation, planning board appeals and property takings claims. He also handles product liability matters, specialty health care matters before state licensing boards and state and federal courts, and toxic tort and environmental cases, including asbestos litigation. Michael has given presentations on various topics in employment liability, including retaliation, discrimination based on age, disability and pregnancy, and an employee’s use of medical marijuana, as well as civil rights and municipal liability and evidentiary issues. Michael recently ended a nine-year service (the maximum three consecutive three-year terms) on the Maine Supreme Judicial Court’s Advisory Committee on the Rules of Evidence. He is the co-author of the Commentary to the Maine Juvenile Code, Vol. 8 Maine Revised Statutes Annotated (1980). He recently authored “Qualified Immunity for Private Actions” which appeared in For the Defense, the publication of the Defense Research Institute (DRI) in July 2014. He has served as the Chair of the Committee to Monitor the Implementation of the Juvenile Code, the Maine Criminal Law Advisory Commission, and the Maine Juvenile Justice Advisory Group. Michael has also served as the National Chair of the Coalition for Juvenile Justice, Washington D.C. In 1996, he received the Award of Excellence in Law from the Boston College Alumni Association. Bruns v. Town of Fryeburg, 2011 U.S. Dist. LEXIS 122003 (D. N.H. Oct. 20, 2011). Jones v. Town of Milo, 2009 U.S. Dist. LEXIS 49311 (D. Me. June 5, 2009). Rice v. City of Biddeford, 2004 ME 128, 861 A.2d 668. Graffam v. Town of Harpswell, 250 F. Supp. 2d 1 (D. Me. 2003). Nelson v. Kline, 242 F.3d 33 (1st Cir. 2001). Schoff v. York County, 2000 ME 205, 761 A.2d 869.